Daryll "Tony" Jackson, President, began his printing career as a pressman at age 14. After attending Hobart College, he continued to build his career in printing and eventually founded Panther Graphics in 1993. Mr. Jackson is the recipient of the Urban League of Rochester's Outstanding Business Person Award, ABVI's Community Partnership Award, and the Omega Psi Phi Community Service Award. 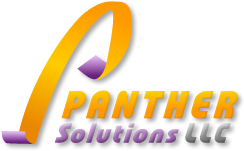 Panther Solutions received the MBE Supplier of Distinction from the UNYMSDC in 2010. Its parent companies have received the Best Workplace in the Americas Award from 2007 to 2010, Inc. Magazine Inner City 100 Award from 2008 to 2010, and the Minority Business Enterprise Supplier of the Year Award from Bausch & Lomb.